We are currently sponsoring a free Yahoo Discussion Format. The Members-Only Archive features 8 years of Discussion and Research regarding the topics which are spoken about by The Reconnections. We discuss anything and everything related to the New Paradigm, Multidimensionality, Physical Transmutation, Earth Changes, Children of the New Earth, Running the New Energy, and such stuff. It's free. It's back in action, and it's better than ever!!!! To join Club Recon, click HERE. The system will help you do the rest. CHILDREN OF THE NEW EARTH? Come join Star Child Awakening. It's a Yahoo Discussion Group. It's free. It's wonderful! Share with Star Kids and Star Elders around the world. 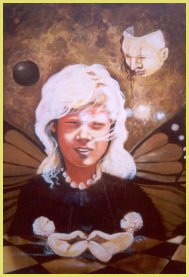 To join Star Child Awakening, click HERE. The system will help you do the rest. Daniel Jacob; Reconnections, 826 6th St. South, Ste 100, Kirkland, Washington 98033, U.S.A.